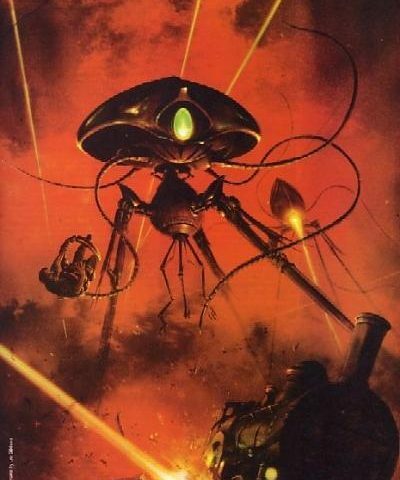 I always wanted to write my own version of a sequel to my favorite novel of novel, War of the Worlds. Read it at least twenty times and thought about it often. But now that Steven Baxter wrote this version (with the full backing of the Wells estate), I can move on to some other Great Novel. Here’s the first thing – if you are going to read this work, make sure you go back and breeze through the original. It’s far better to know the story, the details and the characters than to hit them cold. And pretty much all the characters are there (including the narrator, who is interestingly reevaluated based on his actions during the original). I had to smile when phrases were reused from the original work, sometimes with ironic effect. And, yes, had to laugh when someone pointed out that the unnamed curate was named “Nathanial” (a toss to Jeff Wayne’s musical version, quite clever). So, yes, with this forewarning, we find an England a decade after the first war radically changed. Parts of the country are still destroyed, and the new government is very dictorial (including the fact that civilians cannot own telescopes, lest they see new launches and panic). But new launches there are (for the first war was nothing more than a scouting mission). Instead of ten cylinders, there are one hundred this time. 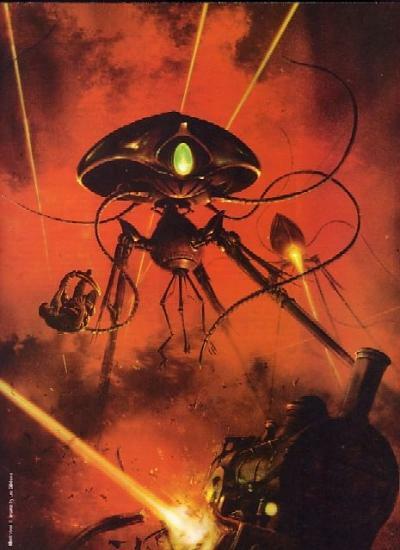 And the Martians have learned – not only are they fully aware of the diseases that laid them low the first time ‘round (their shots are now up to date), but they are fully aware that they cannot allow humans to ring their pits, cannot waste a day manually unscrew their cylinders, and cannot allow the Earthlings to get a clear shot with their artillery again. The smoke, that was a quick fix that, on a wet world with rain and dew about, was pretty useless so they’ve largely given it up. But on all other fronts, they are ready. They are coming, all over the world. Like I said, I was really surprised by how much effort the author took into matching the mood and getting it right. Oh, there were some things I disagreed with (such as the compassion the Martians showed for each other). But otherwise it was spot on. And the action keeps shifting, from the closest detail of muddy marches to the strategic efforts and cities around the globe are overrun. The solution to the war, unique, and it didn’t end there. So, yes, brilliant book. For you WOTW fans, a must-have for your shelf. Check it out. Five out of five tripods on this one!